Break out the camera phones and video recorders! 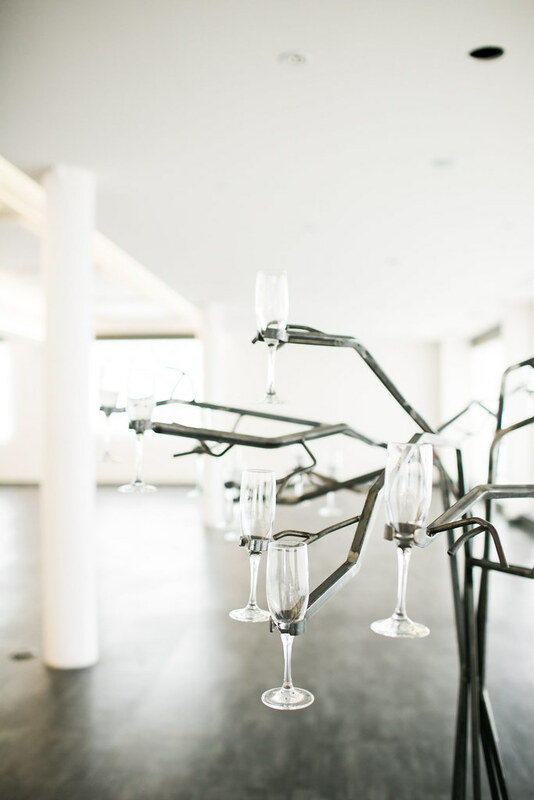 This showstopping piece will have your guests absolutely abuzz! 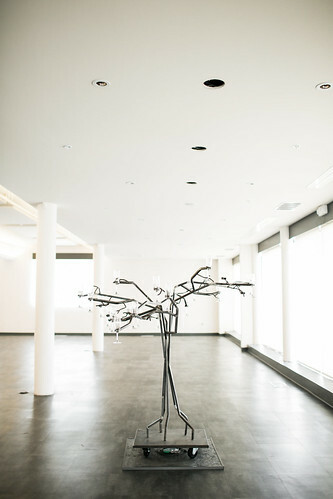 Champagne Tree #2 is a more angular, modern-take on our original! 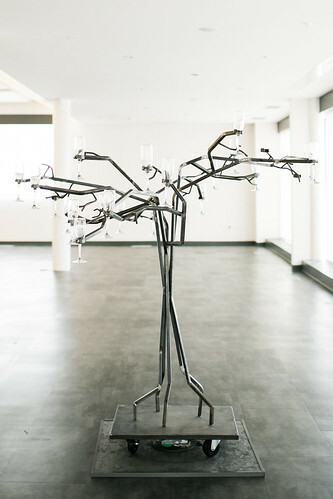 The raw metal look fits in well with an industrial or modern vibe and of course it also has the ability to rotate which has made our original Champagne Tree so popular! These features come together and create a jaw-dropping, video-inducing, selfie-taking addition to your event! 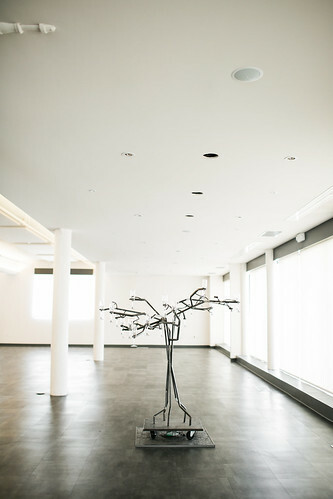 This piece of art would look great in a number of settings. From the modern feel of Eastbank in Cedar Rapids to the hotelVetro ballrom in Iowa City this Champagne Tree will be the perfect accent! 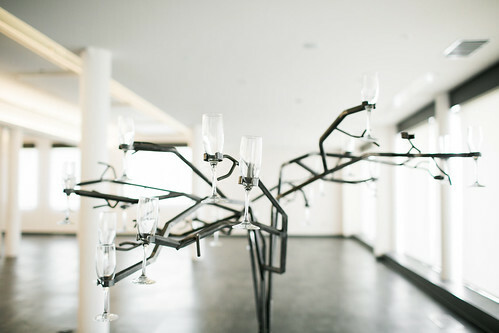 Our Champagne Tree not only looks pretty, but it’s functional too! 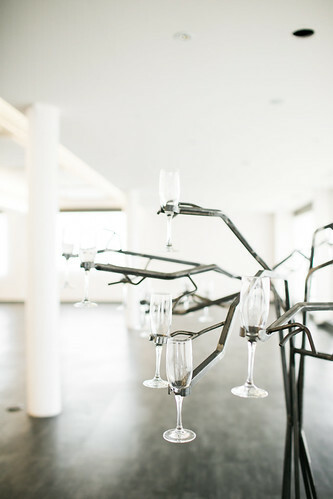 It can be used to serve champagne (obviously), but turn those flutes upside down and now you are serving one-bite desserts or cupcakes on the bottom of the glass! Maybe you want to just put some floral on it and create your own statement piece? Possibilities abound! Contact us today to check your availability and discuss how our Champagne Tree can make your event one to remember!